As you’ve noticed by now, I’m a huge fan of Ghostbusters. Always have been. 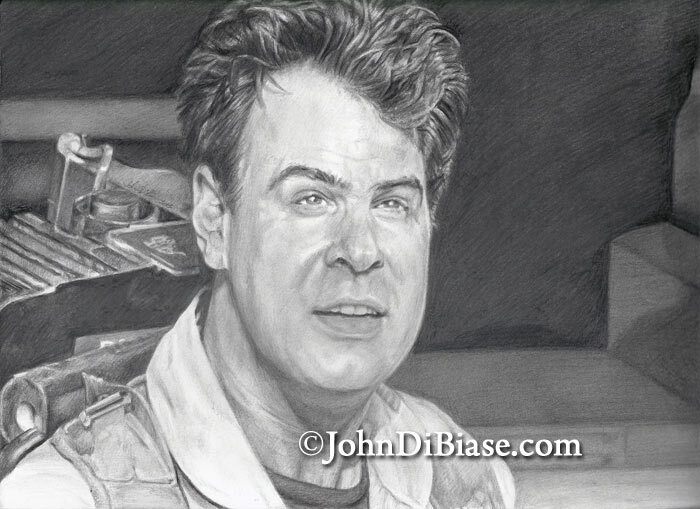 I did a drawing of Ray Stantz right out of college and I’m not a huge fan of it, but it sells a lot in my Etsy store (surprisingly to me). So I decided to work on another one – one I’d be more proud of, and so I took a screen shot from the film on my iPad and used it as a source photo to freehand draw from it. I’m actually pretty happy with it this time!